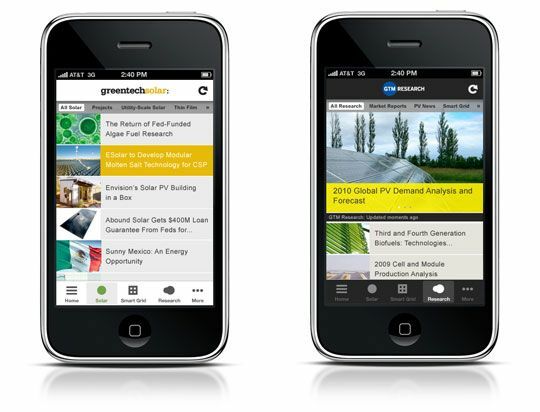 Stay up-to-date on the greentech industry anytime, anywhere with the new GTM iPhone app. With authoritative news, market research and events, GTM is the leading information services provider for this next-generation electricity system. 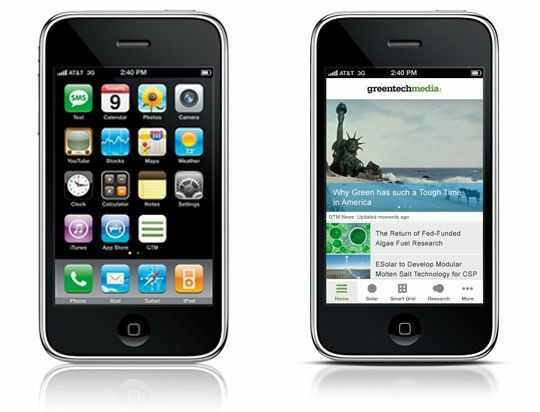 Greentech Media is excited to announce the official launch of our new iPhone app, available now in the App Store. 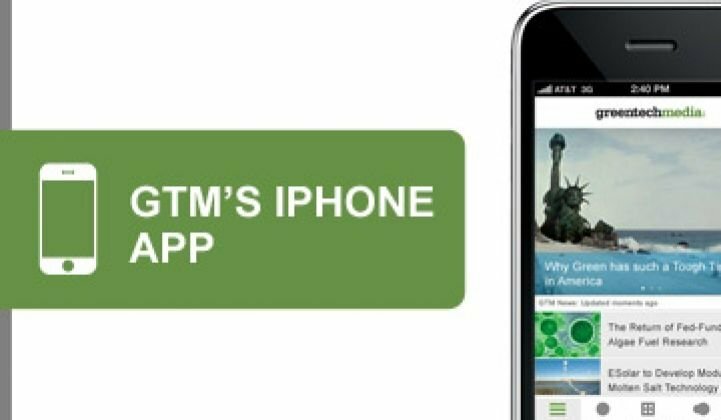 The FREE, fully integrated app offers access to all of GTM's daily content and lets you preview market research reports from GTM Research. 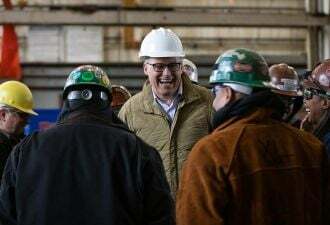 From each article page, you can post and read comments, share the story via Twitter and Facebook, and e-mail to colleagues. You can even filter the content by sector, letting you quickly find the information you need. The iPhone app can also be downloaded on the iPod Touch and iPad. While it is not scaled to fit the iPad's larger screen, the app is still fully functional. Stay tuned for an iPad-optimized GTM app in the future! 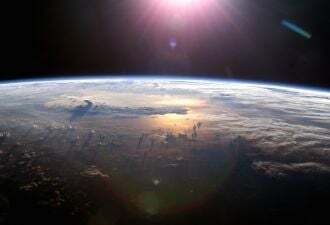 With the rapid growth of the greentech market, it's important to have the latest industry news and information whenever and wherever you need it. 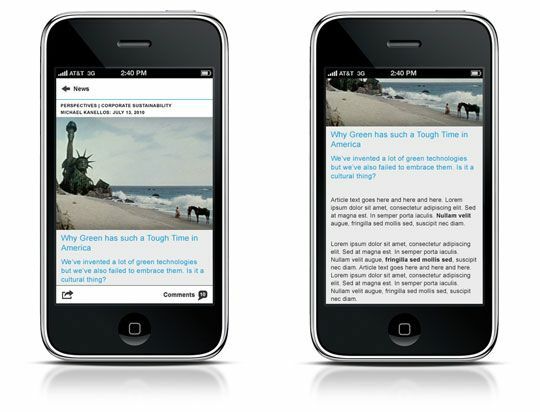 The Greentech Media iPhone app has you covered.